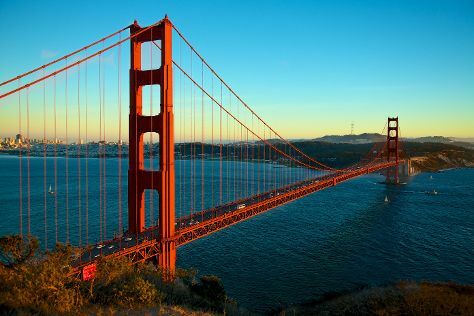 Kick off your visit on the 28th (Fri): make a trip to Lombard Street and then take in the views from Golden Gate Bridge. Get ready for a full day of sightseeing on the 29th (Sat): head off the coast to Alcatraz Island, then take a leisurely stroll along Fisherman's Wharf, and then buy something for everyone on your list at Ferry Building Marketplace. To see maps, other places to visit, reviews, and other tourist information, you can read our San Francisco trip maker site . Toronto, Canada to San Francisco is an approximately 9-hour flight. You can also do a combination of flight and subway; or drive. The time zone difference when traveling from Toronto to San Francisco is minus 3 hours. Expect warmer weather when traveling from Toronto in December: highs in San Francisco hover around 17°C, while lows dip to 8°C. Wrap up your sightseeing on the 30th (Sun) to allow time to drive to Yosemite National Park. On the 1st (Tue), spend an exhilarating day on the slopes at Yosemite Ski and Snowboard Area. 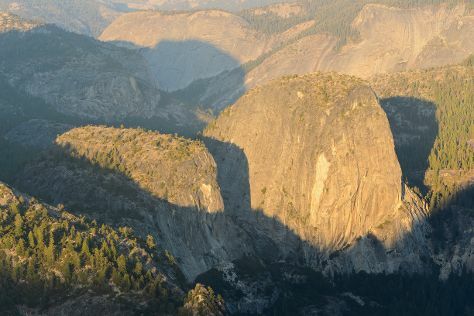 The adventure continues: explore the striking landscape at Glacier Point, admire the sheer force of Vernal Fall, trek along Tuolumne Meadows, and don't miss a visit to Olmsted Point. To see ratings, reviews, maps, and tourist information, use the Yosemite National Park trip itinerary planner . Drive from San Francisco to Yosemite National Park in 4 hours. Alternatively, you can take a bus; or do a combination of subway, flight, bus, and taxi. Traveling from San Francisco in December, expect nights in Yosemite National Park to be colder, around -11°C, while days are a bit cooler, around 9°C. Finish your sightseeing early on the 2nd (Wed) so you can travel to Los Angeles. Start off your visit on the 3rd (Thu): find something for the whole family at Disneyland Park. Here are some ideas for day two: see the interesting displays at The Getty Center, put a fun spin on your tour with Fantastic Race, and then see the sky in a new way at Griffith Observatory. For photos, more things to do, traveler tips, and more tourist information, refer to the Los Angeles road trip planning website . Traveling by combination of car and flight from Yosemite National Park to Los Angeles takes 4.5 hours. Alternatively, you can drive; or do a combination of taxi, bus, and flight. Expect warmer temperatures when traveling from Yosemite National Park in January; daily highs in Los Angeles reach 24°C and lows reach 11°C. Finish up your sightseeing early on the 4th (Fri) so you can go by car to San Diego. Kick off your visit on the 5th (Sat): stroll through Sunset Cliffs Natural Park and then admire nature's wide array of creatures at San Diego Zoo. Here are some ideas for day two: appreciate the history behind Cabrillo National Monument and then let the kids burn off some steam at Balboa Park. For other places to visit, reviews, more things to do, and other tourist information, read San Diego trip maker tool . Traveling by car from Los Angeles to San Diego takes 2.5 hours. Alternatively, you can take a bus; or fly. In January, daily temperatures in San Diego can reach 22°C, while at night they dip to 12°C. Finish your sightseeing early on the 6th (Sun) so you can travel to Miami Beach. 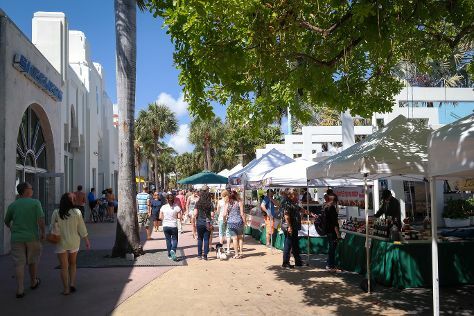 Start off your visit on the 7th (Mon): take a stroll through Lincoln Road, appreciate the extensive heritage of Art Deco Historic District, and then stroll through South Beach. To find where to stay, reviews, more things to do, and other tourist information, you can read our Miami Beach tour itinerary tool . You can do a combination of flight, tram, and bus from San Diego to Miami Beach in 7 hours. Other options are to do a combination of flight and bus; or drive. The time zone difference moving from Pacific Standard Time (PST) to Eastern Standard Time (EST) is 3 hours. Expect somewhat warmer temperatures when traveling from San Diego in January; daily highs in Miami Beach reach 29°C and lows reach 20°C. Finish your sightseeing early on the 7th (Mon) so you can travel back home.